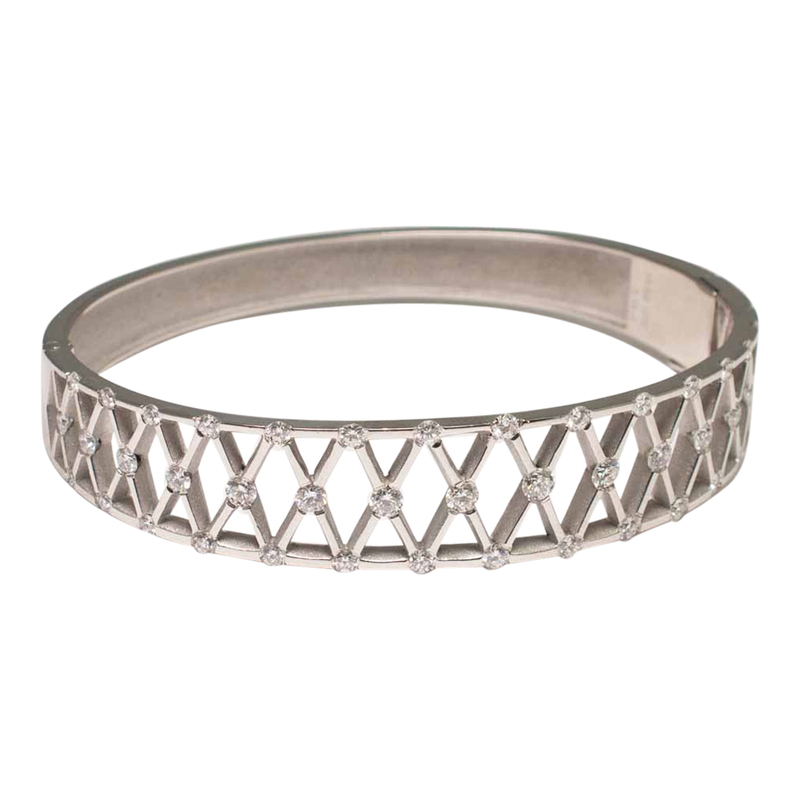 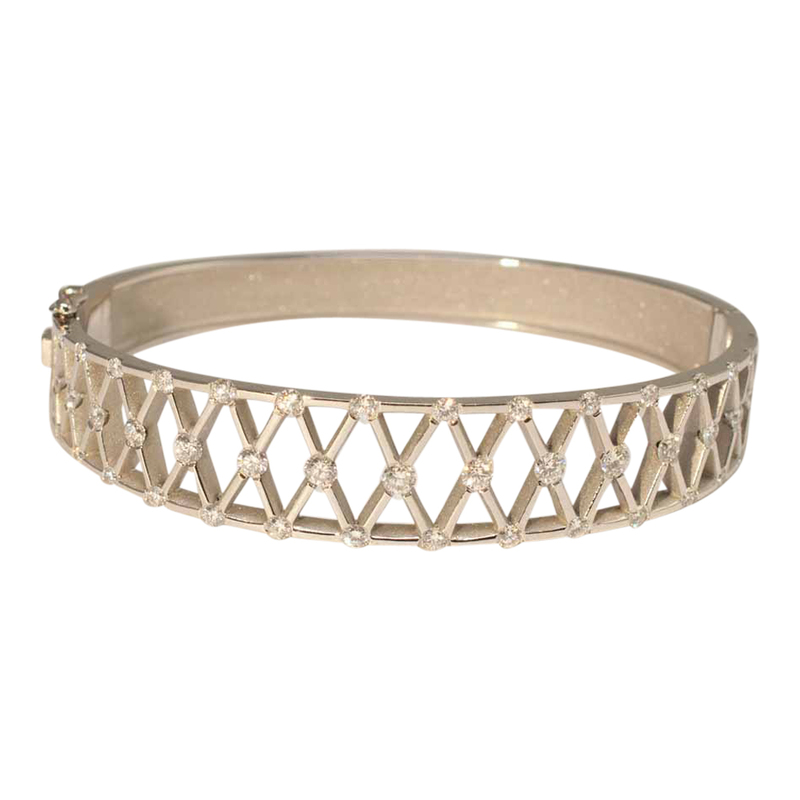 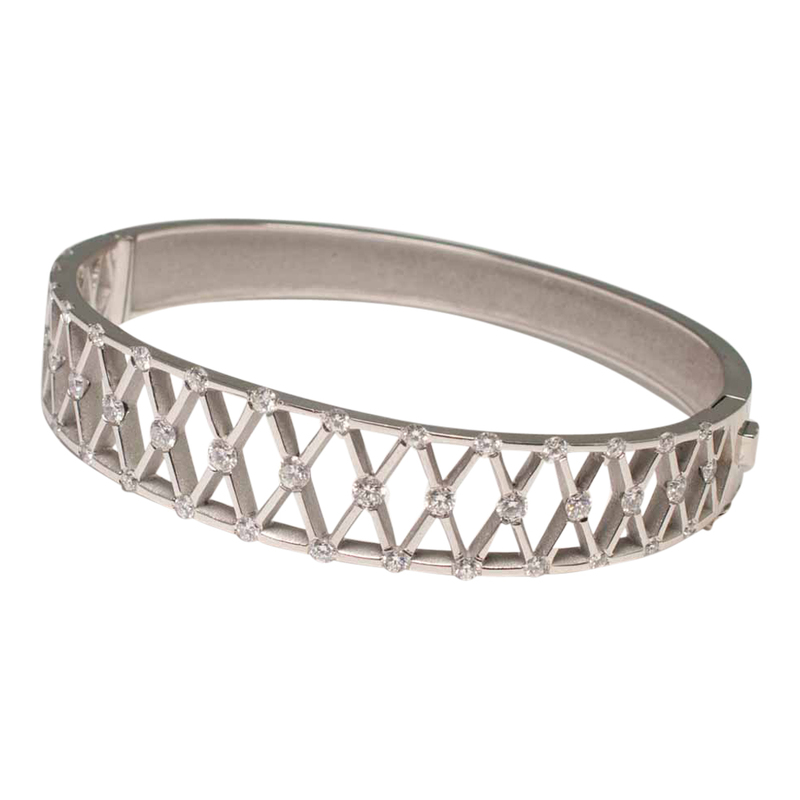 Platinum and diamond bangle forming an openwork lattice design; the brilliant cut diamonds weigh 2.30ct and are set on the sides and crossover sections of the latticework. 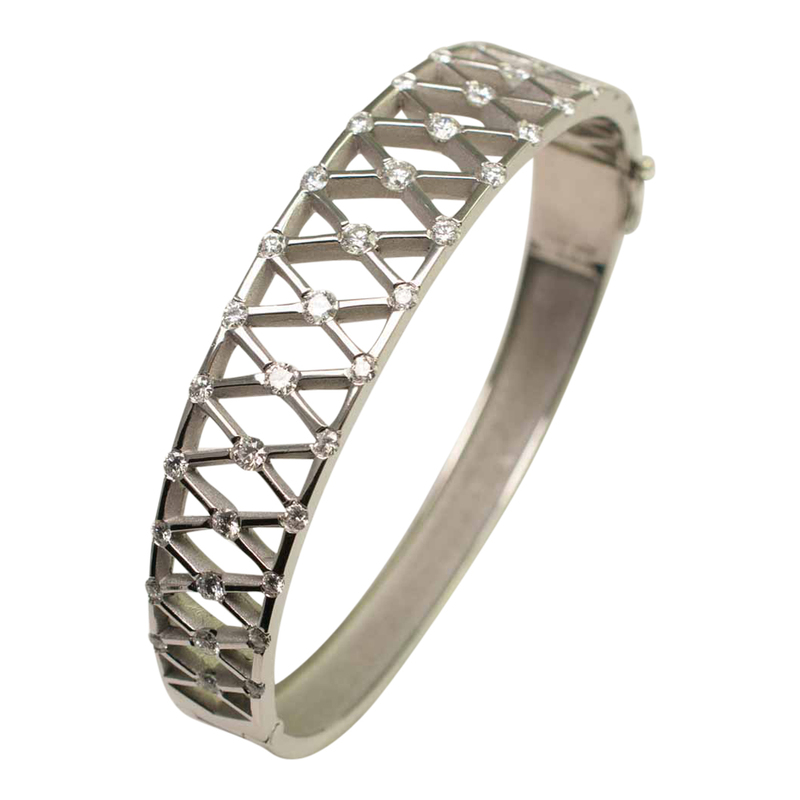 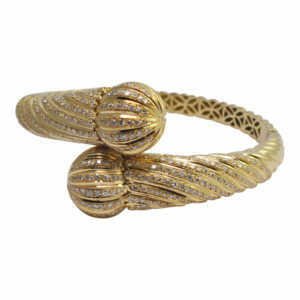 The top section of the bangle is fixed to a solid tapering platinum lower section by a snap hinge. 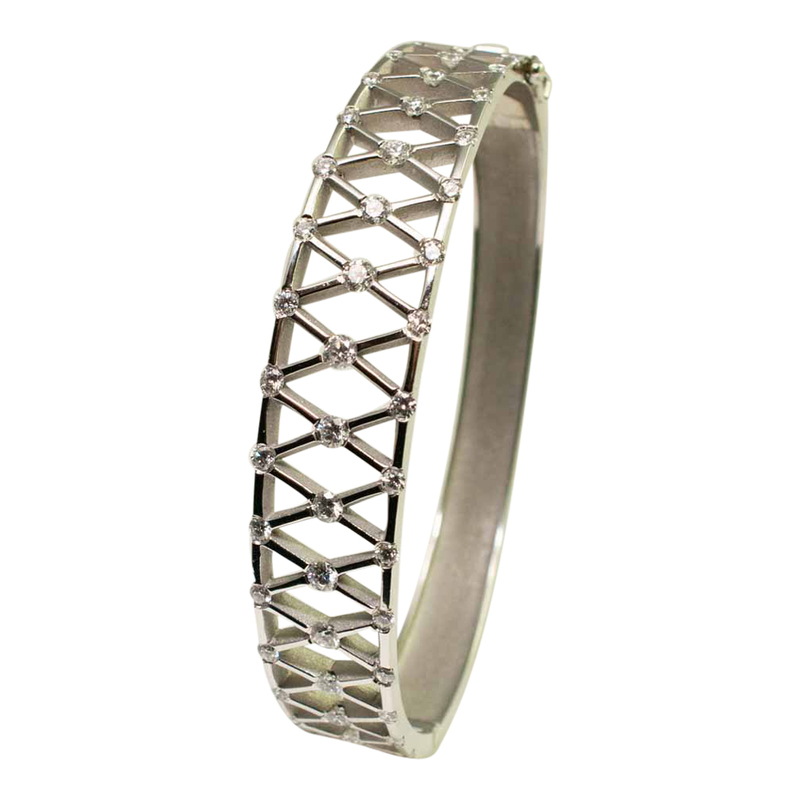 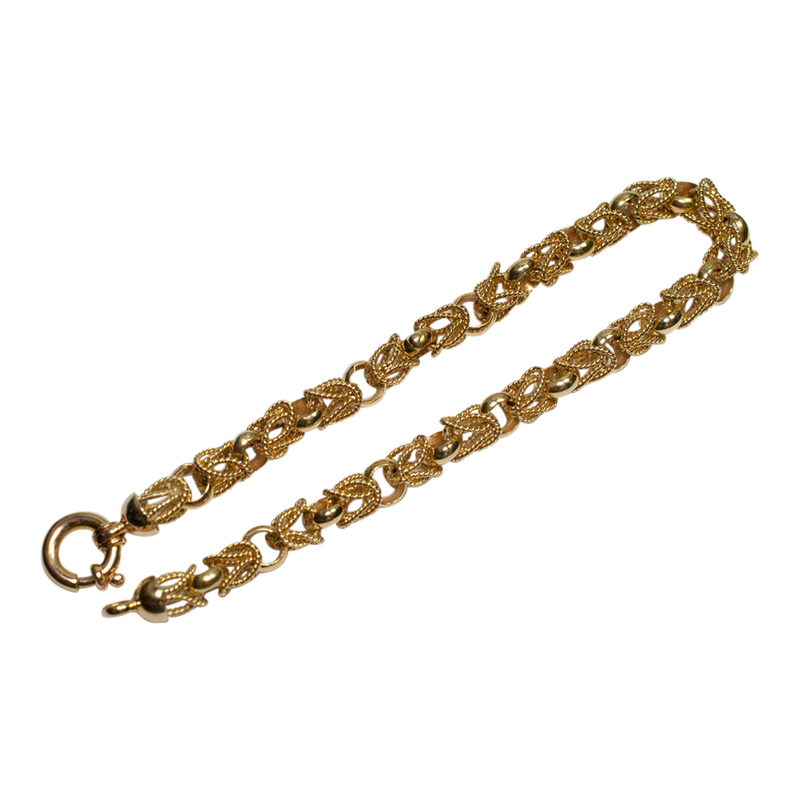 The bracelet closes with a secure press clasp and a figure-of-eight lock for added security. 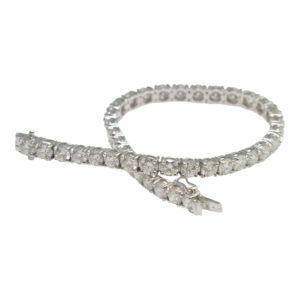 Weight 47.2gms. 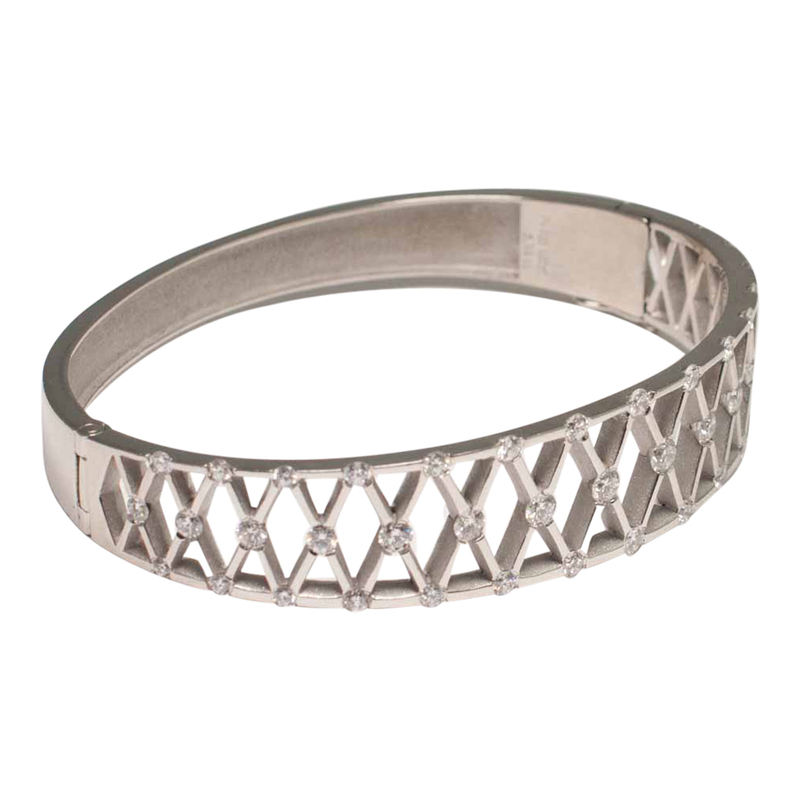 Depth 1.5cm at the widest point and 0.50cm at the narrowest point. 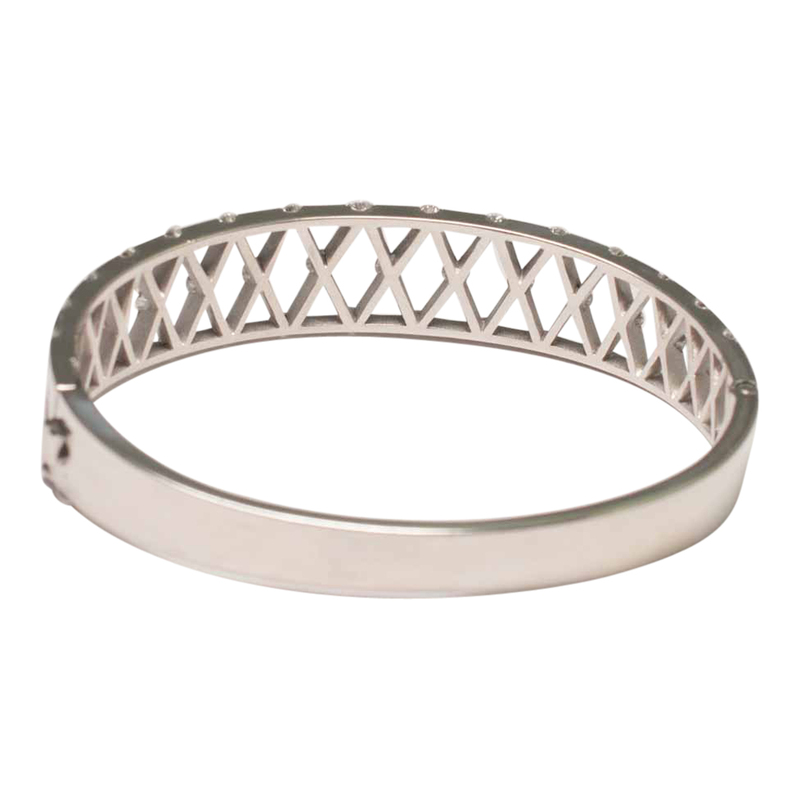 Internal measurements 6cm x 5cm so it will fit a standard wrist. 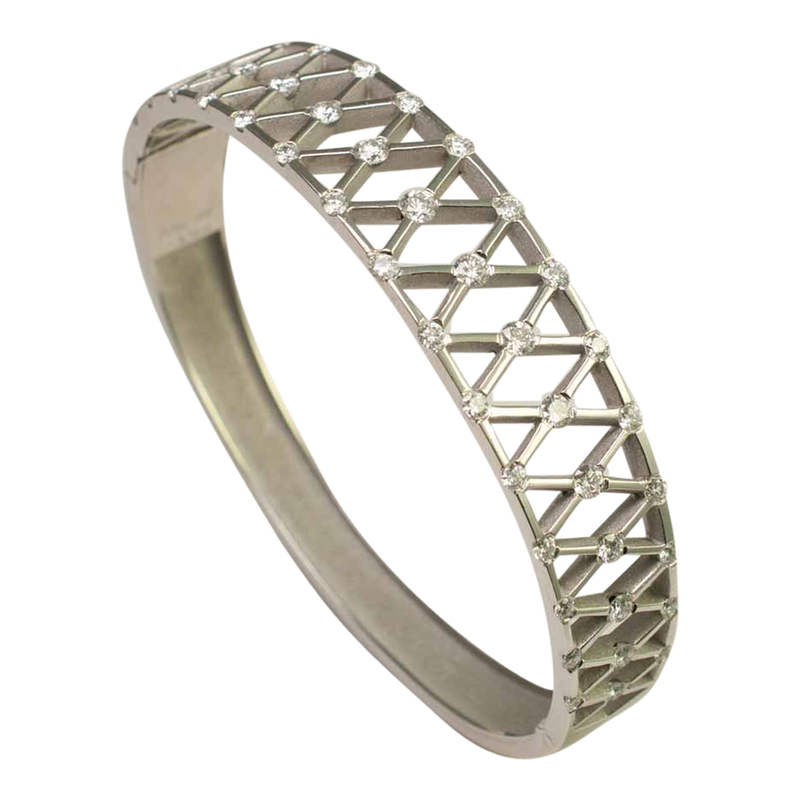 German manufacture; Stamped Pt 950 and signed Cédé This bangle is in excellent condition and has been professionally re-polished by our workshop. 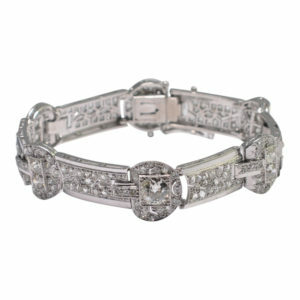 Late twentieth century.